Ever since Antiquity, it is exclaimed that man is a thinking animal as opposed to the barbaric creatures of the wild. He is endowed with the gift of expression which forms an intrinsic part of his instinctive autonomy. This freedom of expression renders him uniquely capable of generating ideas which are transformative in nature. Man's ultimate aim is to realize the inner faculties of his soul. This is best achieved through the means of writing. It entails the art of structuring words in a manner conducive to logical display of the mind. Words act as the catalysts that facilitate the inception of ideas. Every intricate detailing that has shaped the world has been through the power of words. This realization led to English author, Edward Bulwer Lytton's assertion that the pen is mightier than the sword. The power vested in words by virtue of its potential for communication, distribution and consideration of ideas makes it critically important to be deployed in a responsible manner. 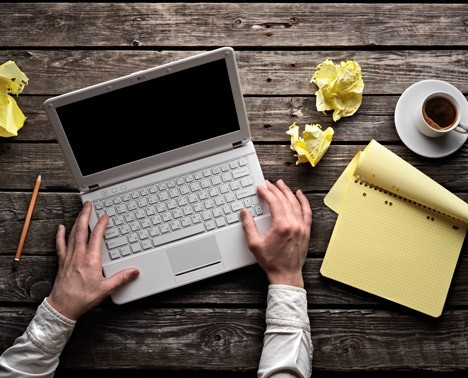 In the 21st century, content writing has emerged as a field with immense scope of growth that helps individuals realize their potential to the zenith. Thus, they represent man's intuitive freedom by being brand ambassadors of the freedom of expression. In doing so they have embarked on a journey that is attached with great responsibility. Writing is not merely a leisure activity, but it is a means to engage bright minds in a productive manner. How to ensure that one writes with an aim to generate content that reflects genuine distribution of ideas? What makes your content stand apart from the rest? How can one put their writing skills to display in a unique yet coherent manner? This can be achieved by following certain trusted mechanisms. Here we discuss certain underlying points that make a write up attractive. Pinch of truth: These days what connects with the readers and generates massive response is content that resonates the element of truth. This can be gauged from the up votes that experiences, honest tales and the like garner in social media platforms. Stimulate emotions: Another trend is content that touches hearts and makes one ponder over the specifics of detailing inherent in the piece they read. Every man is a bundle of emotions and content that strives to connect to his emotional side, gains an element of uniqueness. Content that has technical elements sans humanistic values fails to strike a chord with the reader. Audio-visual treat: Anything that stimulates the brain apart from content is a bonus. This is true especially with regard to audio-visual elements which are indeed a treat to the eyes. Incorporating images, memes and short clips that reflect the ethos of the content add aesthetic value to the piece. Professional ethics: An article can be written for a variety of purposes and for a wide array of organizations. However, it ought to reflect the writer's sincerity and integrity to complete a task within a stipulated time period. In today's neo-liberal society that reeks of market fundamentalism, professional ethics are rare and its rarity makes it a thing of beauty that is a joy forever. This is a source of optimism to the work and generates positive vibes. Go ahead and shape the world with your content development skills armed with a responsible devolution of your innate rawness. Every soul thirsts for recognition and acceptance. The honest ones are deemed selfish. I want to look out for myself and not be seen through reductionist lens.